That’s pretty much the way it is in the tech sector these days. 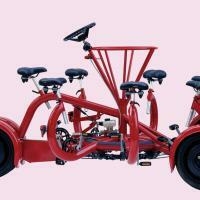 Companies are in a race to outdo each other on bike friendliness. Google not only gives employees racks and lockers, the company will donate to charity if employees ride to work. Etsy’s got an in-house bike mechanic. In New York, Foursquare just chose a new location for it’s headquarters, based on where biking would be easy. Are we falling behind in our ability to attract high tech workers to New Hampshire? They’re looking for bike-friendly cities and reliable high-speed internet. How will our deficit in both areas affect the vitality of our economy?